Social media platforms, like Facebook and Twitter, offer up millions of potential customers, but finding and engaging them is no simple matter. We, at the Vertebrae Group, understand how overwhelming this can be. From choosing which social media platforms are right for your business to enhanced target marketing, navigating the world of social media is a never-ending road of calculated decisions. The Vertebrae Group will ensure that you’re on the right path! While 97% of businesses are using social media, 85% aren’t sure about what social media tools are right for them or their business’s desired marketing goals. The Vertebrae Group is here for that 85%. Our custom-tailored approach begins with an open discussion about your business, its challenges, and your goals. We know that every business is unique, so we’ve built three flexible social media management packages from which to customize. These packages convey our competitive rates and create a base of essential services from which to build upon and adapt to your needs. Three packages. Three months. Unlimited potential. After breezing through the package selection process, we’ll work with you to develop and execute an agreed upon marketing and advertising plan tailored to your business and brand. Don’t quite have a brand voice? We can help there too! We also offer a variety of services to enhance and provide another layer of professionalism and brand cohesiveness to your social media presence. Graphic design, photography, and web development are just a few of these additional services that the Vertebrae Group can provide to enhance your business’s validity, capability, and appeal. Compared to traditional forms of marketing, the cost to establish a strong online presence is an absolute bargain! Your business will have the potential to build a reliable consumer base while reaching thousands of new prospective customers for a fraction of what it costs to advertise in publications or air television and radios spots. Social media should be considered a vital pillar of any successful business’s over-all marketing strategy. Our process does this in a manner that is easy, affordable, and gets results. Your competition is already reaching new audiences, increasing traffic, and driving sales. The longer you wait, the greater the chance your competition has to establish their presence and outpace your business. Let us help you move forward. With over 15 years of experience, we provide the peace of mind that your business needs will be well taken care of both professionally and effectively. Want to learn more about the Vertebrae Group’s social media services? Visit us at www.vertebreagroup.com or contact us at [email protected]. Don’t forget to keep up with the latest news by following us on Facebook and Twitter! 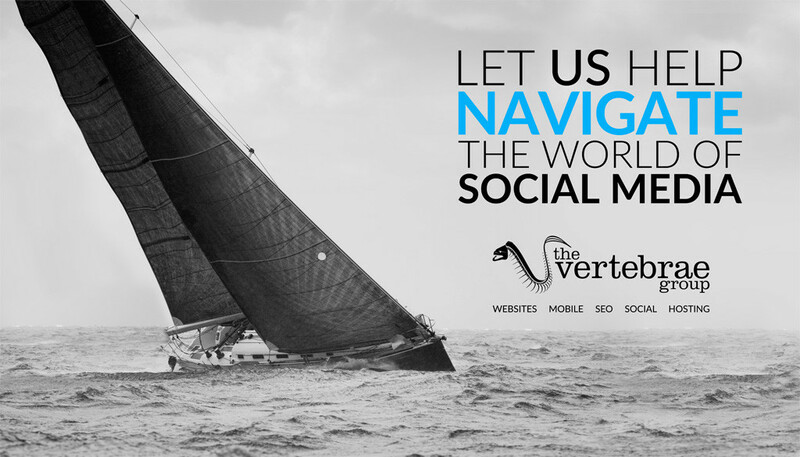 At the Vertebrae Group, we bring comprehensive experience to online marketing. Although we provide services to Fortune 100 & 500 companies, our true passion lies in helping small businesses achieve their goals through measured and targeted online marketing strategy. Sometimes, it takes an outside perspective to envision the larger marketing picture. With our diverse interactive marketing experience, we help build the backbone of business one service at a time by focusing on attributes that we believe are key to growth and success. Our initial priority is to focus on a company’s validity and appeal, which when combined, cultivates trust between our clients and their customers. The Vertebrae Group provides a complete suite of services that range from graphic and web design to the creation of printed sales materials and social media management. With consistent, professionally crafted messaging, we ensure that businesses will make a polished first impression. While branding is crucial, we provide much more than design. Our team continues to innovate and provide you with a variety of services to manage your business and expand your audience. Businesses are constantly facing new challenges. We offer fresh ideas and extended capability to save you both time and money. Custom programming and application development are just the tip of the iceberg when it comes to creating unique solutions for your business. Consulting the Vertebrae Group on your business’s obstacles is an excellent place to start! With over 20 years of experience in developing digital solutions, the Vertebrae Group provides the foundation that small business owners need to achieve their goals. If your business needs web development, 3d animation, professional photography, exclusive web hosting, mobile application development or any combination of online services, the Vertebrae Group is ready to assist. Our services are built one upon another to create the backbone of your business. Have an online marketing need? Contact the Vertebrae Group today. 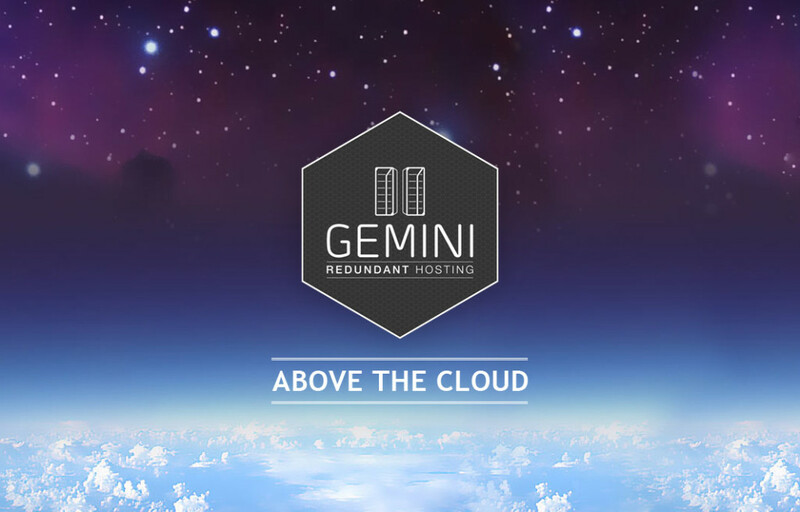 Gemini Hosting was created to provide enterprise-level hosting to small business at an affordable price. Available exclusively to the Vertebrae Group’s clients and affiliates, Gemini Hosting boasts redundancy and ingenuity. Ongoing hosting trends have been to provide bigger and faster servers, but we’ve decided that businesses can benefit more from reliability and affordability than high-priced performance that you’ll never see. Instead of committing fully to any one storage facility, Gemini Hosting was built to be data center agnostic. Our environment is built upon multiple cloud solutions; making us quite literally, above the cloud. We carefully scrutinize our hosting partners to ensure that they’re continuing to provide high standards of reliability by leveraging multiple tier-1 network transit providers, industry-proven hardware, redundant power sources, PCI compliance, and on-premise armed security. By not putting all of our eggs in one basket, we can switch out data centers without downtime to ensure our clients continue to receive the best value for their dollar. Reliable access to your data is the bottom line, so we proudly offer advanced systems monitoring, offsite database replication, nightly backups, and a guaranteed 99.9% uptime. We’re not the latest hotrod or cheap barebones solution, instead we provide a customized experience and real peace of mind. From time-to-time we'll update our Blog to share information about the company, details about ongoing projects, or to comment on an industry related topic. Thank-you for your interest in the Vertebrae Group.